SUN Community Schools link neighborhoods with classrooms to mobilize resources and bring communities together. 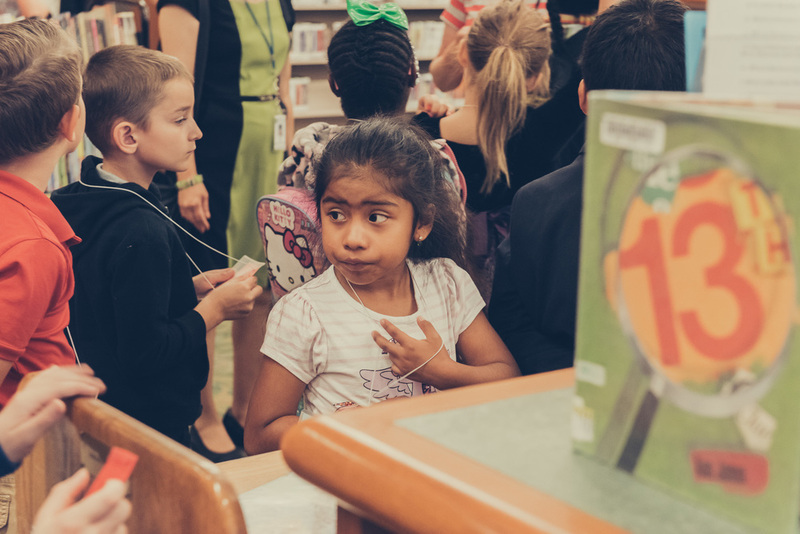 Across Multnomah County, schools like Ventura Park Elementary are working to empower children and families living in high-poverty and high-risk areas. SUN Schools pool the broader neighborhood resources to reimagine the part a school can play in a community. At Ventura Park, this goes even further. 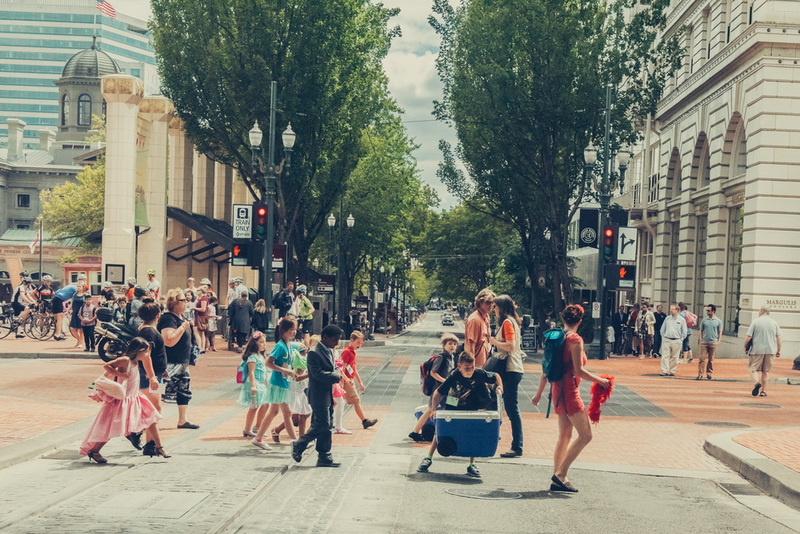 The Immigrant and Refugee Community Organization (IRCO) has identified schools throughout Portland as sites to develop community outreach centers. These school-based programs seek to bridge the divide between traditional roles of schools and the needs of newcomer families (immigrant and refugee families). This initiative places the children’s needs and the families’ relationships with the schools as the highest priority, and works to find creative solutions for welcoming and integrating new students into the learning community. The SUN Site Manager, funded through IRCO, has started initiatives to introduce new families to teachers, create a community food bank, offer families emergency food resources during cold weather months, provide a parent resource center for adult education and information sharing, host a community garden, promote culturally specific groups and services, and create new educational programs. The Summer Reading Program is one of those new programs. You can't teach a child to read in two weeks. 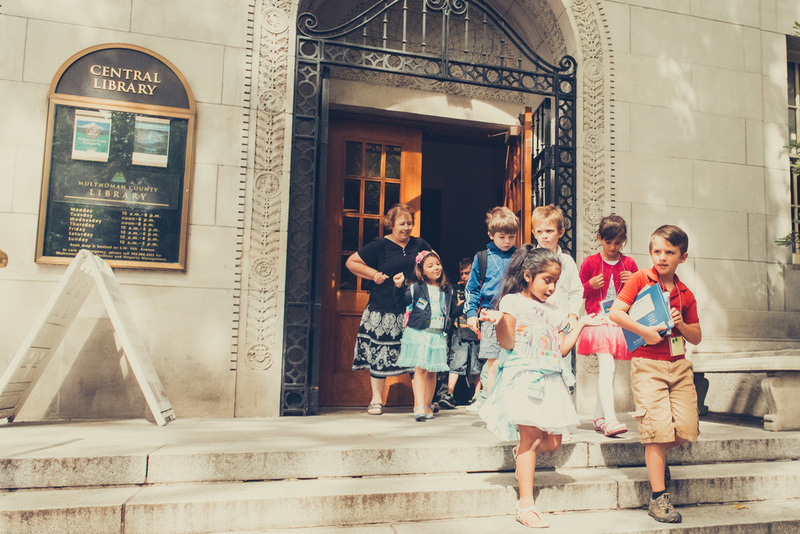 When 75% of your elementary school students are learning English as a second language, you absolutely cannot eliminate educational barriers with a single short summer program. But you can spark a child's love of reading. 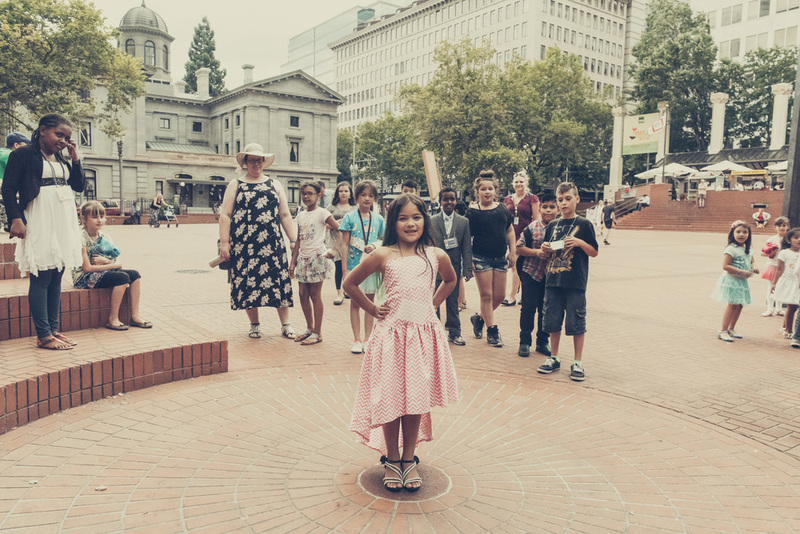 We joined Ventura Park's Summer Reading Program for a day in the Portland Central Library. Almost thirty students, 7-11 years old, piled into a school bus in their outer Southeast neighborhood to visit the 'fancy' downtown library. They were half-way through their two week program, and had already spent time building learning 'tribes' and taking part in activities with teachers and fellow students. The ultimate goal for the program--and for the field trip--was not to jump grade levels or achieve new proficiency on a standardized test. The program was open to all students, but special effort was made to invite newcomer families and students who were struggling. The point was to improve their relationship with books and reading. They had done community building and reading exercises. They had practiced animal poses and good listening skills. As we gathered on the steps of the library, it was confirmed by a show of hands that only a couple of students had been to this beautiful downtown landmark before. The youth librarian read a book aloud to the younger students while the older group wandered the children's section, browsing for books. Then the groups switched, and we followed the younger ones as they explored. A beautiful sculpture of a story tree caught their eye, as did child-themed display cases at the ends of each aisle. But they were also anxious to look through the books. Fiction and nonfiction, dinosaurs and space and animals and comic books. One girl showed me a book titled "I'm a Big Sister," and informed me she was a big sister, too. A group of students found the bilingual and foreign language section, and a girl was ecstatic to find a book in Vietnamese--she had been in the U.S. for less than two months. Teachers and library staff helped the students find books, and the kids also helped each other. They used their inside voices--mostly--and were careful to put the books back where they belonged. After the library adventure, kids checked out books and we headed to lunch in Portland's Pioneer Square. We even took advantage of the architectural quirk in one corner of the Square--a miniature amphitheater which causes a speaker's voice to reverberate impressively. The kids projected their voices with confidence and style. A single trip to the library, or a short two week program will not change everything for a kid who is behind in reading. But a transformed image of themselves in relation to books and their ability to learn... that could change everything.